Joint effort propels development of ‘affordable’ knee replacements - Orthopaedic International, Inc. THE first public-private partnership (PPP) on health and research and development (R&D) in the country has produced a knee replacement system that is affordable and especially designed for Asians. A project of the Department of Science and Technology (Dost) and Orthopaedic International Inc. (OII), a Filipino manufacturing company, has resulted in the development of the Axis Knee System, the first and only knee system designed in Southeast Asia. OII president Jude Sasing said the Axis Knee System is a Philippine-made product that costs 40-50 percent less than other knee systems. It was a product of a three-year intensive study. A successful total knee replacement (TKR) procedure eliminates pain, corrects deformities, and allows patients to return to normal activities and live a healthy lifestyle. However, Sasing noted that of the 70,000 patients who need TKR in the country every year, fewer than a thousand are able to undergo the procedure. This, Sasing said, stems from factors such as the high cost of procedures. These can run to at least P100,000, and that price places it beyond the reach of more than 2.6 million Filipinos suffering from arthritis. Another factor is the limited number of orthopedic surgeons who are certified to do knee replacements. “With the development of Axis Knee System, we will be able to address the gaps. Our partnership with the government will make the procedure accessible to more patients in the country as well as to orthopedic surgeons even without the fellowship program,” said Sasing. OII recently introduced Axis Knee System to a group of senior citizens in Cebu to raise awareness of the product. The firm is also conducting a series of road shows nationwide to help train more orthopedic surgeons. Axis Knee is registered with the Food and Drug Administration and is manufactured from certified implant-grade materials that meet international standards. DOST is supporting the project through the Philippine Council for Health Research and Development (PCHRD). 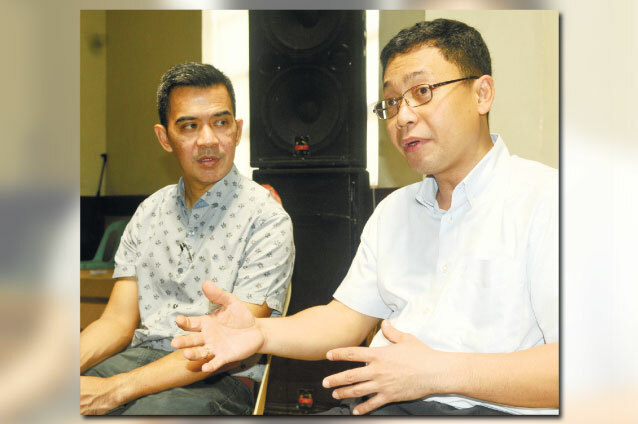 Dr. Jose Antonio San Juan of Cebu Orthopaedic Institute- Joint Reconstruction Surgery said they have already trained 50 orthopedic surgeons nationwide since the product’s launching last July. San Juan said the Axis Knee System is a welcome development in medical care, especially that it increases access of patients to procedures that will further improve the quality of their lives. “There are talks going on about including this PPP in the Philippine Health Program,” said Dr. San Juan. At present there are already 30 patients nationwide that have availed themselves of the Axis Knee System; three had their procedures done in Cebu. Sasing also disclosed that the Department of Tourism is interested and may pitch this Philippine-made product in international medical conventions. “This project is a testament that government and the private sector can work together in bringing about innovative solutions to the problems of the Filipino people. Moreover, it highlights the fact that Filipinos can develop and market world-class products that we can all be proud of,” said DOST Secretary Mario Montejo in a statement. Published in the Sun Star Cebu newspaper on November 02, 2015.